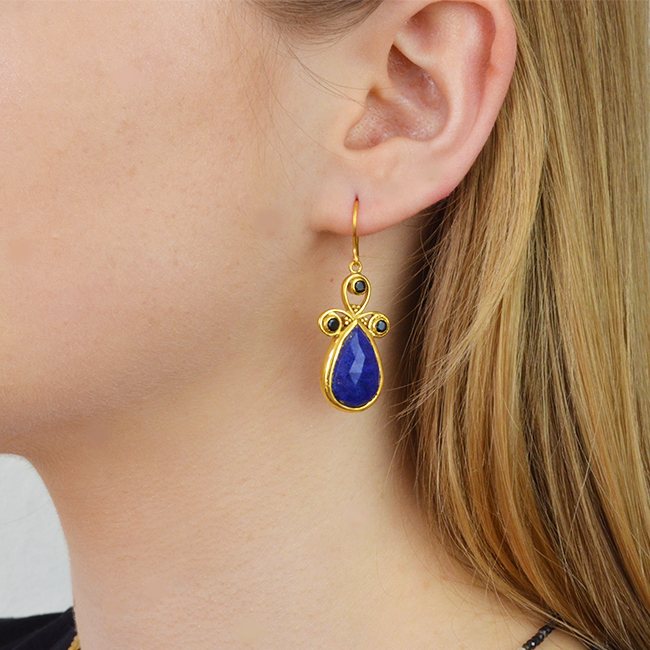 Nikita drop earrings featuring Lapis lazuli and Black Spinel gemstones. Nikita earrings Lapis lazuli Black spinel. 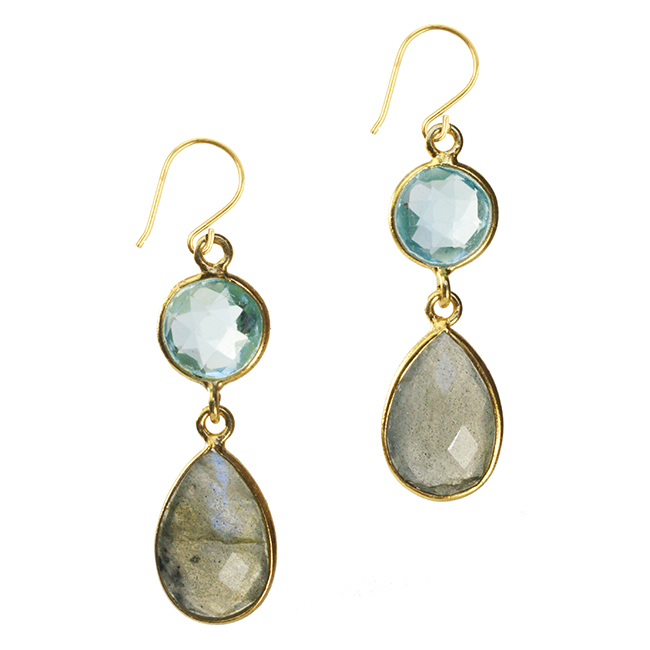 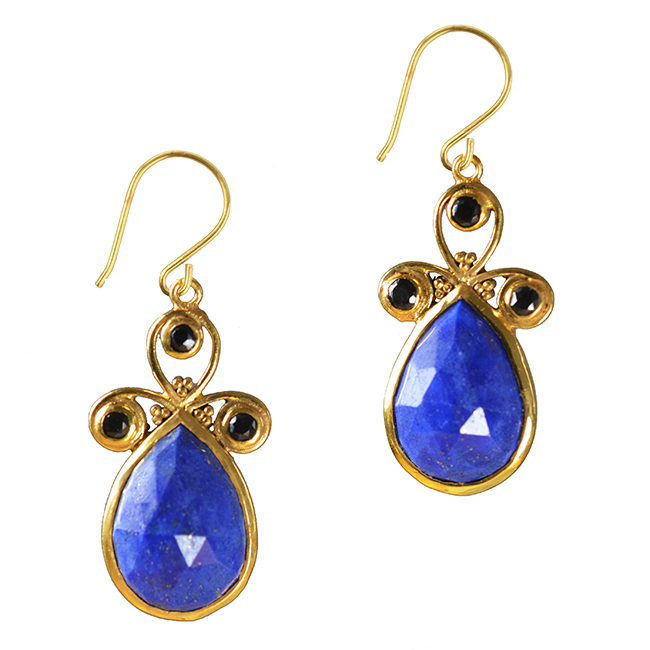 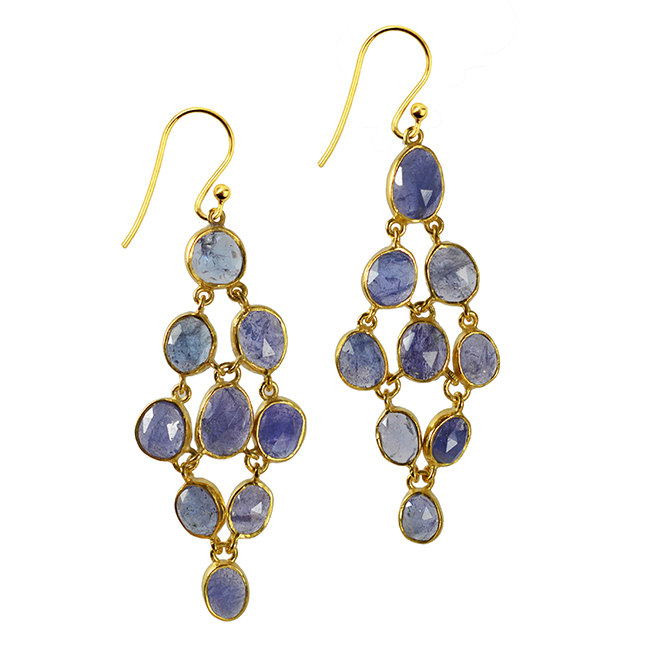 These lovely handmade silver with gold vermeil earrings feature a smart deep blue faceted Lapis lazuli gemstone. 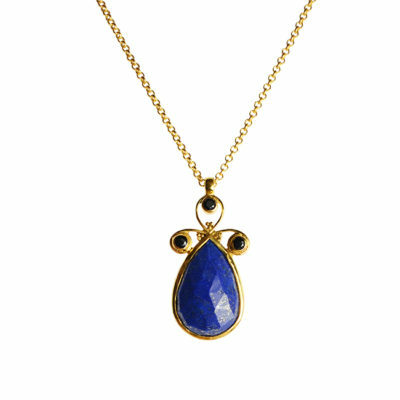 The Lapis is complemented with the Black Spinel stones. 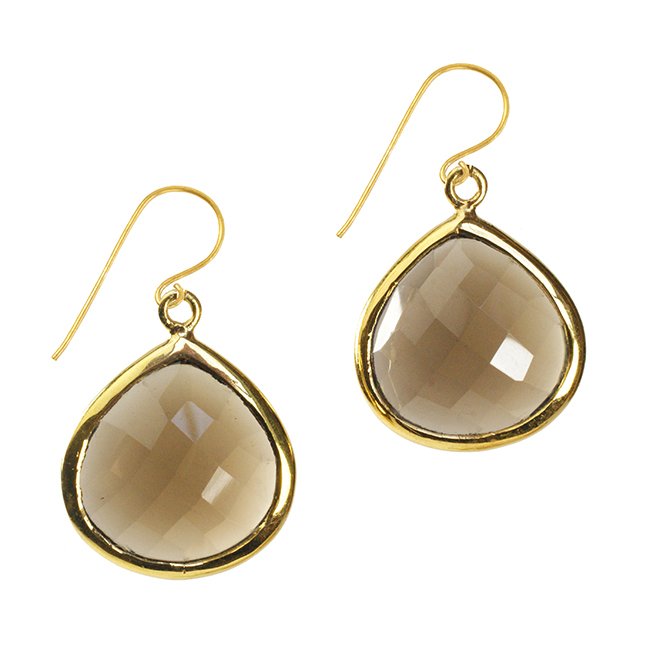 The Nikita drop earrings can be worn to add a touch of romantic drama. 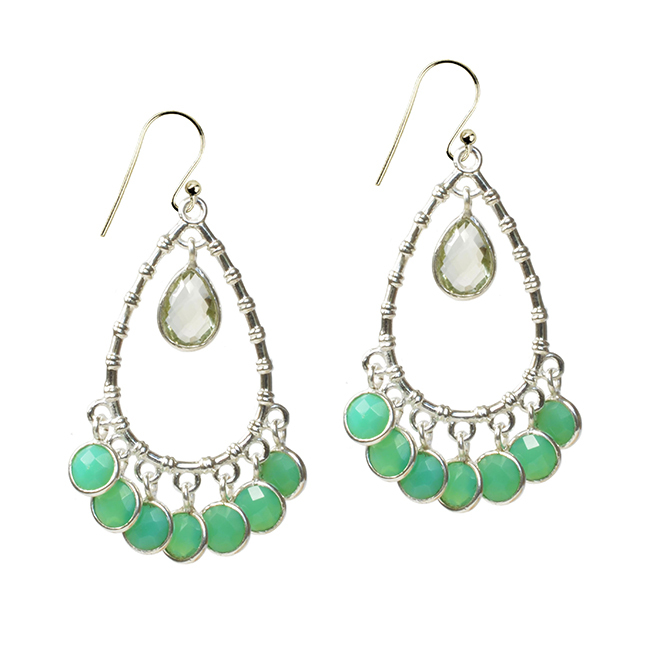 All our jewellery is gift wrapped, making these a wonderful present.